Android users have the perfect sized screen to play online casino games. We have compiled all the information Android players need to know right here to make it as simple as possible when playing via an Android smartphone or tablet. Many online casinos support Android devices due to the online operators going mobile-friendly, but it is important to play at a reputable Internet casino, regardless of the platform to stay safe 100% of the time. 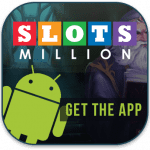 Some mobile casino catalogues are better than others, so we have picked a few from our favourite Internet casinos which offer some of the best Android games from their extensive online catalogue. 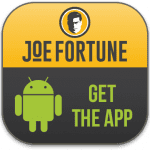 The casinos listed in the table above have been fully tested by our editorial team and licensed by advanced gambling jurisdictions as safe and trustworthy real money venues to play slots, roulette, blackjack, poker and more on your Android device. Note that the table is geo-targeted, meaning only offshore mobile casino websites which accept players from your home country will appear. Blackjack – With titles developed by Microgaming, Net Entertainment, Play’n Go and more there are standard titles of blackjack as well as the Gold series, American and European blackjack, multi-hand blackjack and more. Initially when the first mobile platform was created for Android users, there was only the standard titles, but since then, the mobile gaming world has advanced which we can only expect to continue to do so. Roulette – Roulette is similar to blackjack in terms of the variation available for Android platforms. There may be more variety for blackjack, as roulette only offers European roulette for mobile platforms and not American roulette, but with the odds American roulette offers, we aren’t complaining. Slots – Just as slots are in abundance at land-based venues, mobile pokies are probably the most common mobile casino game. 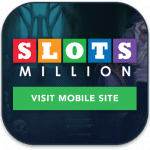 With more mobile slots being released every month, the catalogue is getting impressive for many mobile software providers. There are the classics, the video slots, mega spins and even the progressives available via your Android device meaning players can try their luck at the progressives which are connected to the desktop version, so regardless of the platform the contribution to the jackpot still counts. Poker – Poker is also available via our Android smartphones and tablets, though it might be better off to go to poker specific casinos such as Pokerstars, 888 Poker, and Full Tilt. However, players can find variants at our recommended online casinos too, such as Pai Gow poker and Casino Hold’em. Baccarat – Baccarat is quite popular at land-based casinos as well as online; however, going mobile has been a somewhat different story. There are titles available such as Baccarat Star and Mini-baccarat available for Android devices, but players after the Punto Banco title or even the Baccarat Professional Series title will be out of luck, though this could change in the near future. Keno – Keno is one title which doesn’t have many variations online or offline, so when it comes to playing keno on Android devices, finding a title can be quite difficult. Thrills Casino offers a keno title which is compatible with Android mobiles and is found under their ‘Other Games’ category. Other Android casino games – There are also a lot of other casino games supported via the Android such as scratch card games. You will find these in the ‘Other Games’ category at your mobile casino. Additionally, there are live dealer casino games supported on Android platforms but we believe these deserve their own section. Live dealer games are quite expensive to run, but despite this, online operators and software providers have gone arm in arm to create titles which can be supported via Android devices. This means, regardless of where we are we can access our own personal live dealer. Many of live dealer games, which are streamed directly to your desktop or laptop screen, are available on your Android smartphone or tablet screen via a HD video feed with results determined by a human croupier rather than random number generators. Titles most commonly available for Android devices include live dealer blackjack, roulette, and baccarat, though there can be other variations. What about real money apps for Android? Apps are quite convenient for mobile users as you don’t have to fiddle around with your browser or even risk having to go to a casino which isn’t mobile-friendly. Unfortunately, it is illegal for players from several countries to play real money casino games via a native app – which is an app created specifically for an application store for users to download, that does not run via a mobile browser. Therefore, application developers have not created real money apps for Android users. 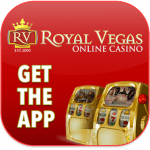 However, Royal Vegas has created a native app which players can download from the app store, known as Regal Vegas for marketing in association to the legislation purposes which players can download to their Android devices. Here, you can play quite a number of Microgaming mobile titles. For players who prefer these other mobile casinos, there is another solution to fill the void of market apps. Besides most online casinos being mobile-friendly these days, especially with all of our recommended Internet casinos being mobile platform supportive, it is possible for players to make a web app for both their favourite mobile casino as well as for their favourite game or games. These apps act similar to native apps in that they don’t have a toolbar and that they are a lot more finger-friendly (it can be a pain accidentally hitting back on the toolbar with your finger) and they sit quietly on your Android device’s home screen with no notifications which native apps can churn out. Though Apple users were first to get access to this nifty feature with Safari leading the way, it is now possible to so on Android devices regardless the browser you use, such as Google Chrome or Firefox. Follow the link to your preferred online casino on this page via your mobile browser, press on the menu option and then tap on bookmarks. Once this is open, from here tap on ‘Add’, and rename the bookmark to either the online casino or the specific game you are adding. Adding the specific casino game is just like adding the online casino to your home screen, only you go to the game open it up then do the same process you would for the online casino. You can do this for as many games as you like and you can place these in a folder, by downloading an app storage application from Google Play to keep your home screen neat and tidy. The casinos below get our top vote for instant-play Web casinos. 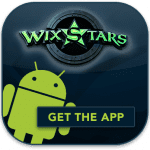 Depositing on an Android device is quite easy, and because we want to play with real money then we though it would be best to give a simple step by step guide so players can pick it up without any confusion. 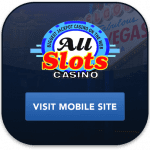 Step one: Go to the online casino via our links on your android mobile browser. Step two: Sign up or log in with pre-existing details and go to the banking page. Step three: Pick which method you wish to make a deposit with from a vast array of Android-friendly methods including, credit and debit cards, e-wallets, bank transfers and more. Step four: Enter the amount you wish to deposit, press confirm, and depending on which method you choose your deposit will be processed in accordance to the number of days specified (this can be viewed on the banking page or by viewing the terms and conditions of the online casino). Important things to note with this process is some credit cards such as MasterCard and Visa may not be accepted at online casinos, but this is not due to the two companies conditions. Rather, the financial institution has restricted gambling transactions with their Visa or MasterCards, so it’s important to read your financial issuer’s terms and conditions. We also recommend our online casinos due to their secure reputation and trustworthy nature so all payment methods are protected by data encryption technology even when playing via our Android devices. Players who want the smoothest gaming experience should opt for an Android over an Apple device and it isn’t just for the screen size. Rather, it has been proven that Apple’s apps crash more so than Android’s, so even if you are playing via your mobile browser, that is still an app and will crash more so on an Apple device.